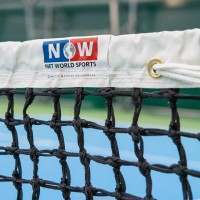 Created using ultra-durable FluroFelt woven cloth with a tournament-performance DuraCore, the Vermont Classic Tennis Balls can be used on any tennis court surface. For indoor & outdoor use. 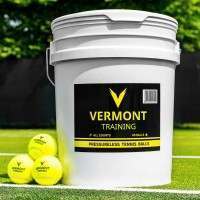 These high-quality tennis balls are the perfect choice for elite-level training and competitive tournaments. 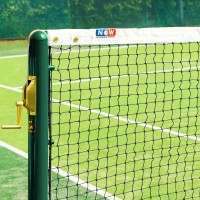 Approved by the International Tennis Federation (ITF), the Classics are a must-have. 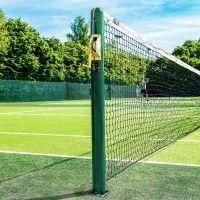 The Classics come in pressurised tubes of 4 tennis balls and are available to buy in a variety of bulk buy options ranging from 4-576 tennis balls. 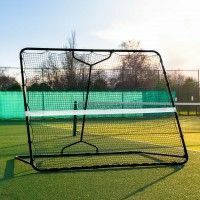 Ideal for tennis clubs, academies & tournaments. 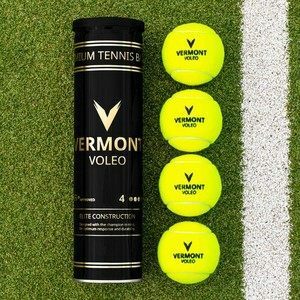 These revolutionary Vermont Classic Tennis Balls will transform your tennis court experience with their elite quality. 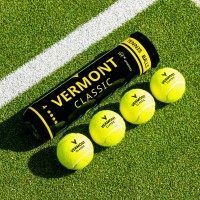 A tennis ball designed to flourish at all levels of the game, the Vermont Classics blend traditional tennis ball characteristics with modern technologies to produce a professional performance with exceptional durability. 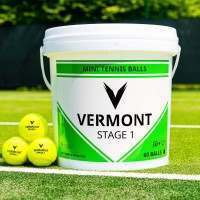 Suitable for all tennis court surfaces, the Vermont Classic Tennis Balls are approved by the International Tennis Federation (ITF), making them the perfect choice for high-level training & competitive tennis. 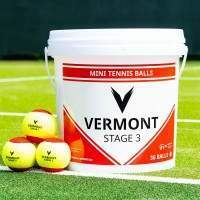 Expertly designed, the Vermont Classic Tennis Balls guarantee a professional performance on any tennis court surface. 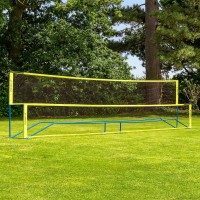 The impressive construction features a high-vis FluroFelt woven cloth exterior which combines with the ball’s high-performance DuraCore centre to deliver exceptional longevity. 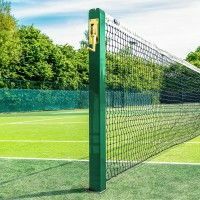 An excellent choice for competitive tennis, the Classic offers an outstanding balance of responsiveness with control, allowing players to dominate from all areas of the court. 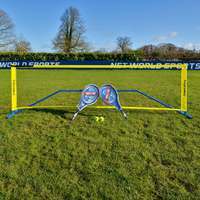 Sold in pressurised tubes of 4, these balls are an excellent choice for clubs, academies and tournaments. PLEASE NOTE: The Vermont Classic Tennis Balls are available to buy in a variety of bulk buy packages. 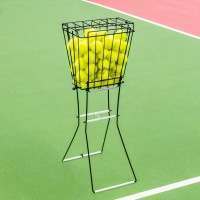 To choose the right amount of tennis balls for you, please select accordingly above.